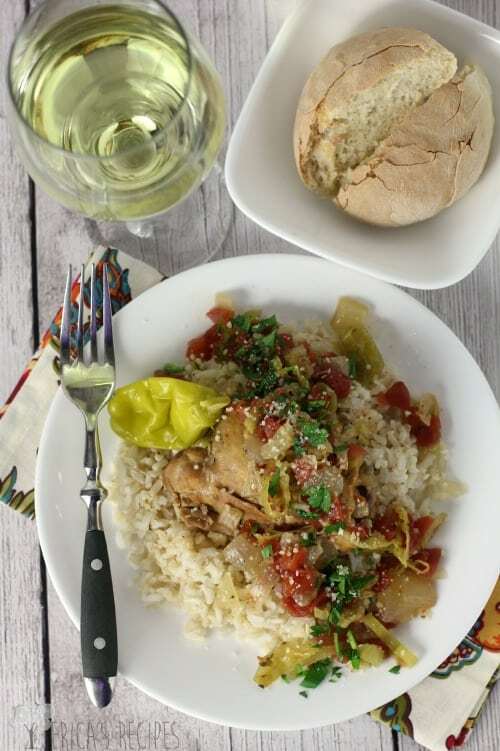 This simple, Slow Cooker Italian Pepperoncini Chicken supper takes just a couple minutes to throw together into the slow cooker and gives you a healthy, amazing dinner. …wait till you see the sweet treat I have for you next post. Made that today too. Any-who, I had this chicken in the fridge to grill for lunches as usual. But then I saw my crock pot in the pantry. “Love me”, it said. “Loooove me.” Creepy? 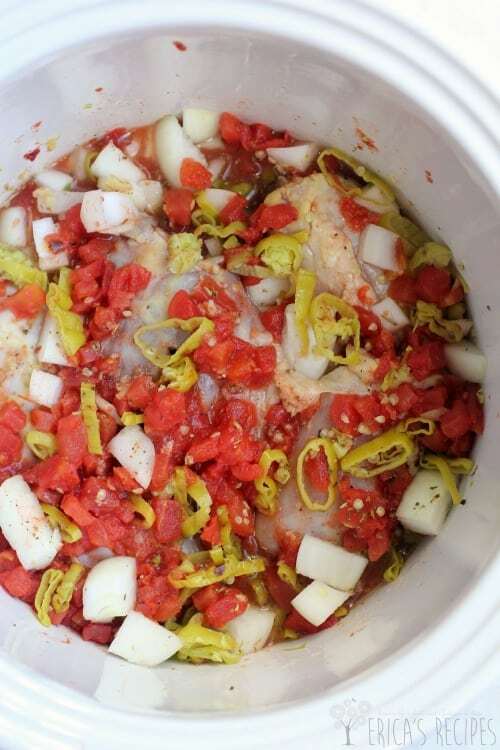 Not at all – your slow cooker is like a husband. Feed it and it will make you happy. So I did. So pepperoncini, right?! Where the hell did THAT idea come from. ..well, this recipe was actually inspired by one of my favorite bloggers, Libby at Lemony Thyme. First, Libby loves pantry-cooking (which is totally what I did here). And second, Libby has a Pepperoncini Pot Roast and errytime I see it, I think “damn that’s brilliant”. So I have had cooking with banana peppers in the back of my mind for a while thanks to her. And so here we are. …because sometimes you just gotta throw stuff in the crockpot and see what happens. But what if you don’t like banana peppers? Make this anyway! Seriously! This is not a banana peppery dish, trust me. It is a slow-cooked, flavor-melded plate of love. This recipe reminds me of something you’d get in France or Italy – a simple recipe where magic just happens. I was worried that with the tomatoes and peppers, this would come out tangy, but it isn’t at all. It all comes together into this total umami moment and you will lick your plate clean. This simple dinner is as easy as it gets folks, giving you healthy, delicious, clean eats for din-din! 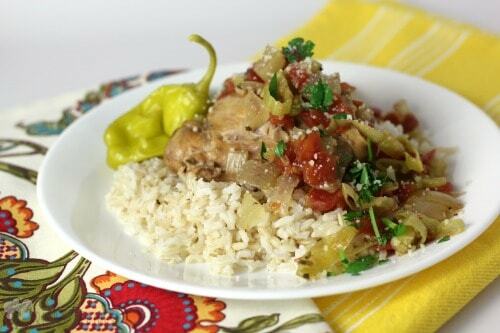 Put the chicken in a single layer in the crockpot. Season well with salt and pepper. Sprinkle over the Italian seasoning and crushed red pepper. Layer in the garlic, onion, peppers, and tomatoes (with the juice!). Lastly, add in the reserved pickling juice from the pepperoncini. Set pot to low and let her go 8-10 hours. 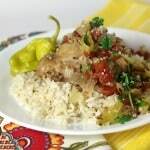 Use a slotted spoon to serve over rice, topped with a sprinkling of parsley and cheese. Yields: 4 servings. I’ve made the beef version with banana peppers and Italian dressing seasonings and it’s awesome. Love that you used chicken in this version! Love it! Totally love this chicken vision over the beef, just cause I think I actually have everything to throw in the crock pot now! Hope you heal up quickly. I did the same dang thing, and it took FOR-EVER to heal. Not wishing the same timeline for you. You have races to complete!! Wow this looks incredible. I love pepperocini’s, so I’m sure I would love this! Hahha, throw it in and see what happens! Love those success stories. Looks so tasty! Love pepperoncini peppers here. Great idea to use chicken! 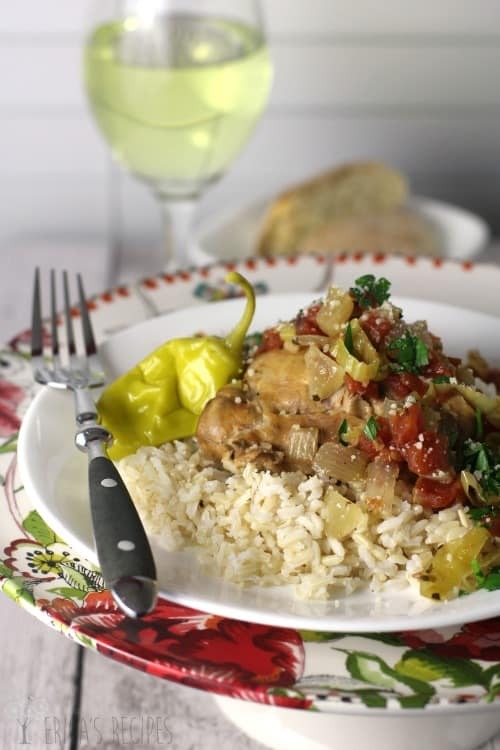 This looks absolutely delicious….I’m off to grab my crockpot! What a beautiful dish! I must admit that I have never used those kind of peppers before. This looks yum. Pinned and stumbled! What a delicious looking dish!! I can’t wait to try it! 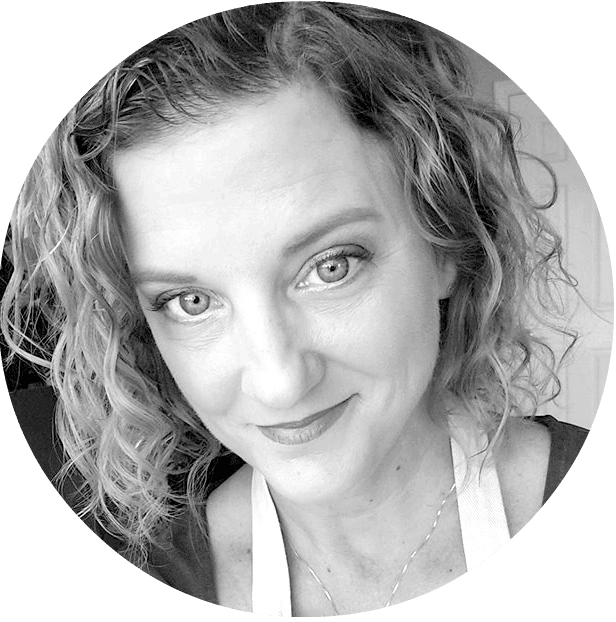 I would love it if you would stop by and share it with us at Foodie Fridays…pinning and yumming and stumbling right now! I’m with you on tossing stuff into the crockpot. This looks like a winner. Pinned. Thanks for bringing this by Weekend Bites.